Take a close look at some stylish dressing Celebs and you may notice some of them wearing those fancy big bow ties with their suits that have the matching pocket square or hanky. These Big bow ties feature a fancy pattern that just says style. 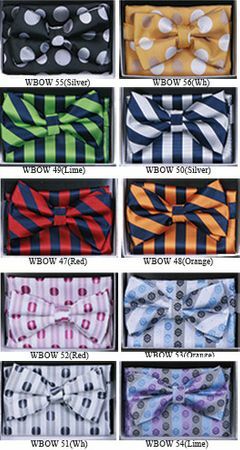 When You're seen wearing these adjustable bow tie sets with Your suits, people will know that You have fashion sense immediately.